Various shots of the Warren Air Force Base missile silos as well as crew activity. 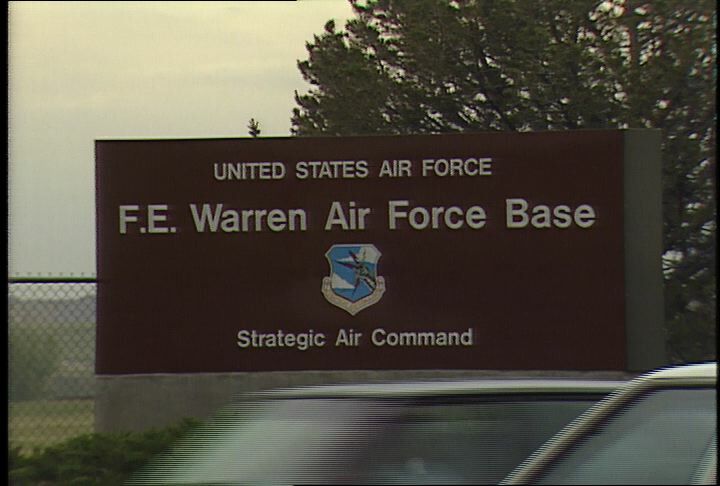 Chicago: “War and Peace in the Nuclear Age; Warren Air Force Base Silos,” 06/29/1987, WGBH Media Library & Archives, accessed April 22, 2019, http://openvault.wgbh.org/catalog/V_550CAF47DF274B42972B2DD73083A408. MLA: “War and Peace in the Nuclear Age; Warren Air Force Base Silos.” 06/29/1987. WGBH Media Library & Archives. Web. April 22, 2019. <http://openvault.wgbh.org/catalog/V_550CAF47DF274B42972B2DD73083A408>.